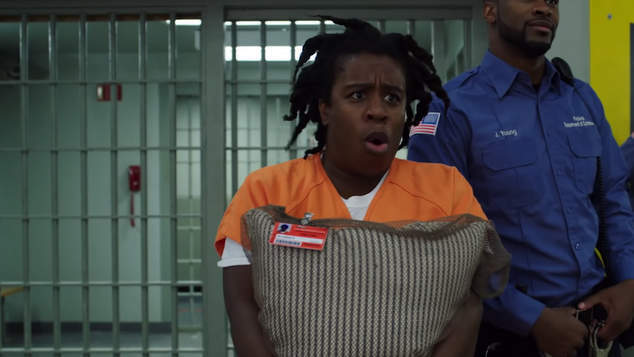 Netflix has revealed that prison drama favourite Orange Is The New Black will wrap next season, bringing the series to a close. The show was commissioned for three more seasons ahead of the season 4 premiere in 2016, with creator Jenji Kohan at the helm. Now Kohan says it’s time for the ladies of Litchfield to move on to (hopefully) greener pastures. “After seven seasons, it’s time to be released from prison,” Kohan said. The show’s sixth season released this year to mixed reviews, after a major event sent half of the cast to a maximum security prison. The absence of many cast members seemed to disappoint some fans, while others praised the change of setting and new characters mixing up the drama. Since its debut in 2013 the show has developed a strong LGBTIQ+ fan base and become known for representing queer women on screen, and casting transgender and gender diverse actors including Laverne Cox and Asia Kate Dillon. The cast came together for a video to announce the final season, and share their favourite memories of working on the acclaimed series.